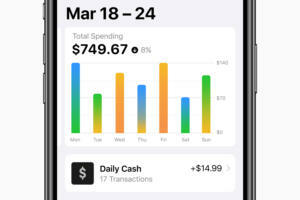 Apple's Monday announcement of a credit card – the Apple Card – represented a natural progression of the company's journey into financial services that began with the Apple Wallet app and its contactless digital payment service, Apple Pay. 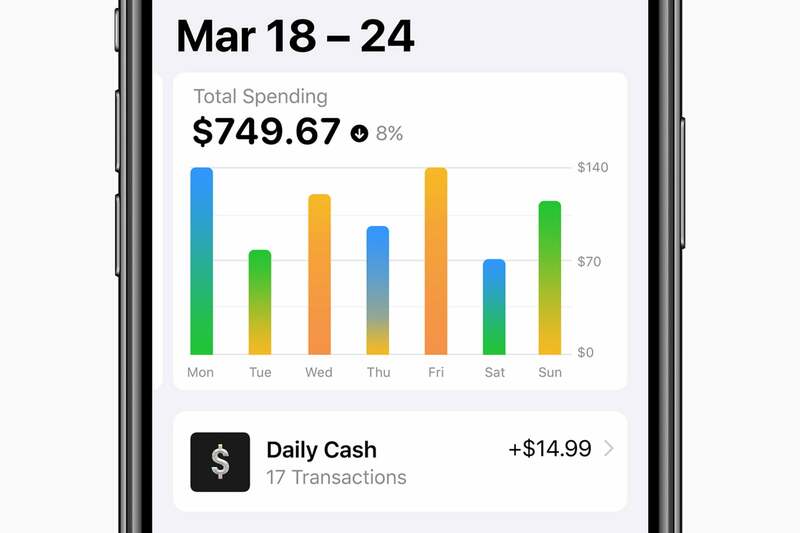 Additionally, Apple is using machine learning algorithms to offer card users a real-time view of purchases, along with spending trend information. Essentially, though, the Apple Card is just another payment option in Apple Pay. Customers will sign up for the card using the Apple Wallet app on their iPhone. So why would Apple want to create its own credit card instead of using existing ones as a payment option? Simply put: to snare more revenue for itself because it doesn't have to share fees with credit card issuers. Everybody wants to be in the payment clearing business as it’s a lucrative way to earn money, according to Jack Gold, founder and principal analyst at J.Gold Associates, LLC. "They already sell many things, so if they can get a return on the payment processing, it's gravy for them," Gold said. Controlling payments also offers insights into what cjustomers are buying, as well as when and where they're making purchases. Add to that data mining and a company has valuable insight for directing targeted adds and services. Avivah Litan, a Gartner research vice president, said what Apple is doing is not a radical change to how it's business model; it's an incremental, evoluctionary change to payments. "What Facebook is doing is much more revolutionary. They're creating new payment rails. They're going to be linking to [cryptocurrency] exchanges." Facebook is exploring the use of blockchain, purportedly for the purpose of creating its own digital currency – a stable coin backed by fiat money such as U.S. dollars – that would use distributed ledger technology for clearance and settlement. In other words, Facebook would cut out the middleman – the banks – and allow Facebook users to purchase advertised products using its own digital token. The Apple Card is still tied to a bank. "Apple does what it can to lock in users to their ecosystem," Gold said. "So it’s logical that Wallet is the underpinnings of the financial transaction model for them. Blockchain doesn’t really give them any advantage, and it may also carry some bad connotations based on some very public breaches. So staying with a technology they know, and own, makes sense." 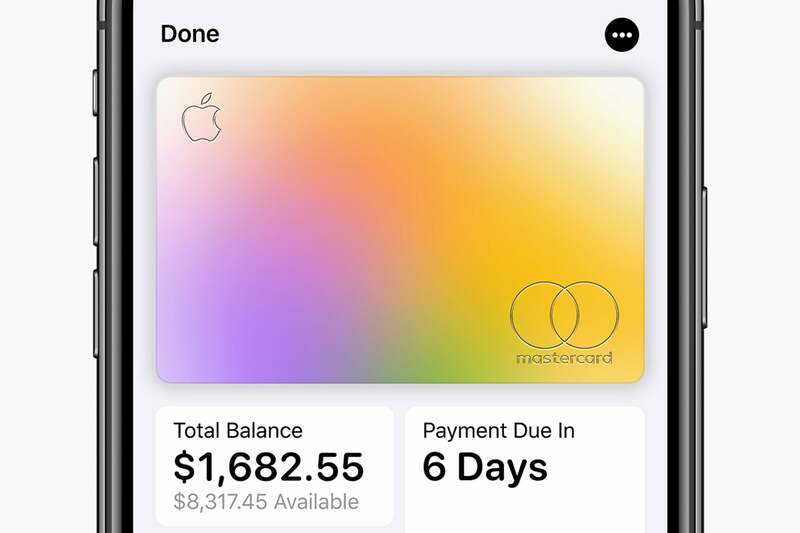 You balance and due date are front and center when you launch the Apple Card tab inside the Wallet app. 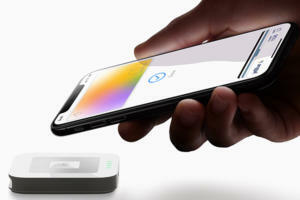 For Apple, the hard part in establishing Apple Pay was getting the infrastructure in place for it – the banks and credit card issuers to back it, and the merchants who had to roll out NFC terminals to accept contactless payments. For the financial services and retail industry, Apple had power because of its enormous smartphone user base. The banks and retailers didn't want to miss out on the potential for more business, so they lowered fees charged to Apple for transactions. Once that infrastructure was in place, Apple was able to essentially eliminate the need for credit card issuers for Apple Pay – allowing it to create its own credit card. Since Apple is not a bank (yet), Goldman Sachs will be the issuer behind the "white labeled" Apple Card and Mastercard will provide the infrastructure to settle the transactions. 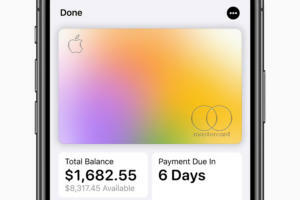 Patrick Szakiel, research specialist at B2B software review site G2 Crowd, said what's most interesting about Apple's foray into the credit card market is its partnership with a big banks. The partnership with Goldman Sachs and Mastercard represents a change in how big tech is approaching the fintech industry. Traditionally, fintechs have sought partnerships with smaller banks, preferring to position themselves as disruptors to large banking institutions," Szakiel said. "Fintechs may be pushed to seek similar partnerships if they are to win market share in a sector with murky regulatory waters and powerful, wealthy incumbents." 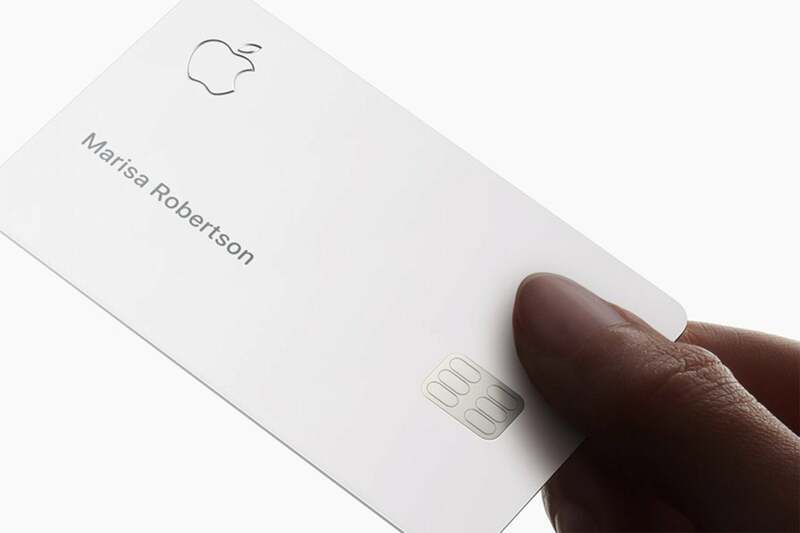 So how will the Apple Card work when it comes out sometime this summer? Just like any other credit card, a user must first be approved. That process will likely involve a combination of Goldman Sachs reviewing a person's credit history and financial information and Apple using iPhone use to determine credit worthiness. 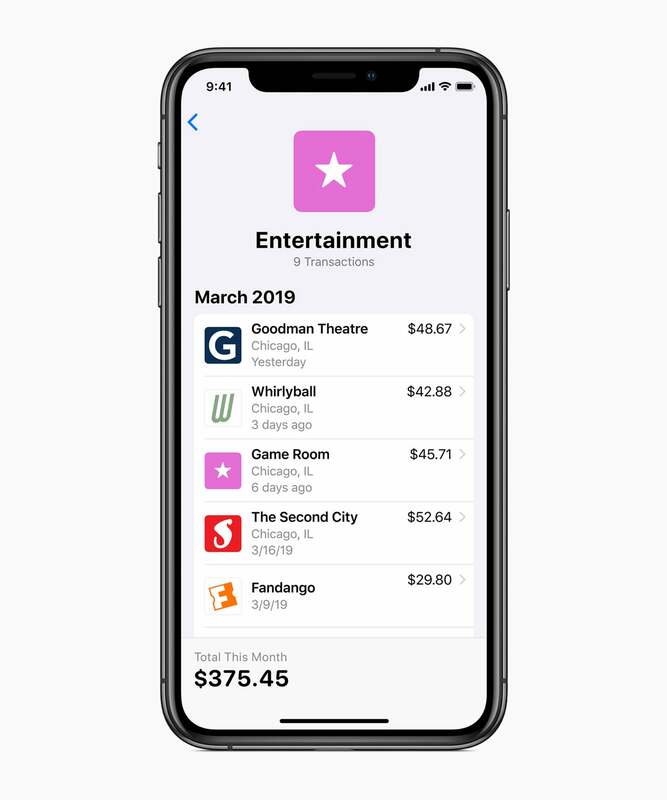 You'll be able to get a clear overview of your spending inside the Wallet app on your iPhone. In fact, Apple's support page explains that it "may" consider whether certain device settings are enabled, and device use patterns – such as the percent of time the device is in motion and the approximate number of calls you make per week – to determine eligibility. That may be one way it's able to provide Apple Card users a fee-less experience, because it no longer has to rely on multiple credit card issuers, Litan said. "They have a lot of information on you to determine if you're a good customer," she said. In theory, the Apple Card is more secure than a conventional credit card in several ways. For one, the physical card Apple will send in the mail contains no credit card number, which could otherwise be stolen. Additionally, the virtual Apple Card doesn't contain a visible credit card number. The only entities aware of that number is the credit card issuer and the card holder. The credit card number is encrypted and a key is used to create an alias account on the iPhone. "It's device specific," Litan said. "They tie this alias account number ... back to your mobile device. So, now that's my wallet, my special account number on my device. It's a very secure method." Gold agreed, saying that while "everything can get hacked," using the iPhone with biometrics or PIN code as a mechanism for identifying the purchaser has proven "pretty safe so far. "[It's] much harder to clone a phone than to clone a credit card, as many banks and card issuers know," Gold said. The Apple Card can be used anywhere, but the best benefits are for purchases made using Apple Pay; customers who purchase Apple products get 3% cash back (2% for other purchases). The credit card number is isolated from the mobile operating system and is never backed up to the cloud. Even if a hacker did break into and steal the credit card number, they couldn't necessarily use it unless they got the key related to the mobile device. "There's a device account number that's encrypted and then a key is also sent back from the card issuer that generates a unique security code for each transaction you make," Litan said "It's a unique code every time." So, each time you make a purchase with Apple Pay using your Apple Card, the device account number with the unique security code is communicated to the NFC terminal from the credit card issuer. In the future, Apple may could decide to cut out the bank and credit card company and become its own bank. In the meantime, the Apple Card offers a user friendly interface and attractive benefits that are likely to spur adoption. "It hasn't changed at all in terms of the banking system," Litan said. "The only thing that has changed is the user interface and Apple is getting a bigger piece of the action for owning the customer user interface."